We are looking for an Android architect responsible for the development and maintenance of system applications aimed at a vast number of diverse Android devices. - Your primary focus will be the development of Android system applications and their integration with back-end services. - You will be working along-side other engineers and developers working on different layers of the infrastructure. - Therefore, commitment to collaborative problem solving, sophisticated design, and creating quality products is essential. - Help maintain code quality, organization, and automatization. - Experience with System application and NDK. - Hands on experience with Android native and System app. 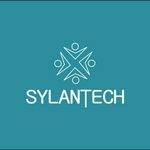 Sr.HR Consultant at Eco-Sylantech Solution Pvt . Ltd.